The New Year may usher the start of Internet Protocol TV in Puerto Rico, if Claro succeeds in negotiating the cable television franchise agreement recently obtained from the Telecommunications Regulatory Board. 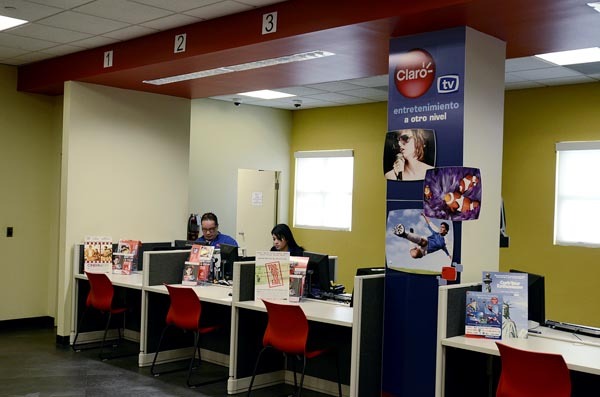 Claro President Enrique Ortiz de Montellano confirmed the plan Monday, saying that as soon as the process is finalized, the new ClaroTV-branded service could go live during the first quarter of 2012 starting in the San Juan metropolitan area. “That process will take some back-and-forth, plus we have to consider that we’re entering the holidays, when offices and government agencies close,” he told News is my Business. The IPTV service will run parallel with the company’s satellite-based ClaroTV service, with which it currently blankets the entire island, the executive said. “Aside from negotiating the franchise contract, we also have some technical things that we need to take care of, because the network is not ready for video, so we need to add to the network before we can launch,” he said. Following a protracted three-year process, last week the TRB granted PRT its petition for a cable franchise license — a request that drew stiff opposition from the three cable companies and competing telecom providers in Puerto Rico, which repeatedly raised objections to the request. While cable companies, including OneLink and Choice Cable claimed PRT began building its network without the proper permit from the TRB, they also publicly blasted PRT’s alleged plan to cross-subsidize the service, which is also illegal. In the order, the TRB requires Claro to abide by certain conditions, including submitting a “Consumer Protection Code” including details on penalties for early termination, late payment fees, and automatic contract renewal stipulations, among other things. The company will also be subject to its first review in six months. “I don’t see those as conditions. We see it with good eyes, especially because we’re used to that. We’re a highly regulated industry and we’re used to being audited and reviewed, so we have no problem abiding by the Board’s requirements,” the executive said. The TRB order dated Nov. 8 gives companies 20 days, or through early December, to file their motions for reconsideration. While none of the competitors have come forth yet, it is likely that at least one of the cable carriers will file, TRB President Sandra Torres said last week. By using IPTV technology to offer paid television service, Claro will likely offer dozens of high-definition channels and other premium packages. The monthly rates have yet to be determined, Ortiz de Montellano said, noting that the basic IPTV service could be priced similar to how they are now. “We’re currently analyzing the pricing structure,” he said. Hey Buddy!, I found this information for you: "Claro IPTV service could go live in 1Q ’12". Here is the website link: https://newsismybusiness.com/claro-iptv-service-could-go-live-in-1q-%e2%80%9912/. Thank you.